Review of: Find the key to One Eyed Willy's rich stuff in The Goonies slot machine! Find the key to One-Eyed Willy's riches on any spin in the incredible The Goonies online slot machine by Blueprint Gaming! This 5-reel game has 20-paylines and follows Mikey, Brandon, Chunk, Mouth and the rest of the Astoria, Oregon crew on a quest to find 17th century pirate treasure. Enter the Fratelli's Hideout bonus through One Eyed Willy's wheel bonus or earn one of the game's other rewarding bonuses. Keep playing until you win big, Goonies never say die! Find the key to One-Eyed Willy’s riches on any spin in the incredible The Goonies online slot machine by Blueprint Gaming! This 5-reel game has 20-paylines and follows Mikey, Brandon, Chunk, Mouth and the rest of the Astoria, Oregon crew on a quest to find 17th century pirate treasure. Enter the Fratelli’s Hideout bonus through One Eyed Willy’s wheel bonus or earn one of the game’s other rewarding bonuses. Keep playing until you win big, Goonies never say die! Wild Symbol – The Wild(s) symbol can be used to help form line wins by substituting for other symbols. The Wild(s) symbol substitute for all symbols except scatter symbols or bonus symbols. Only the highest paying win on each line is paid (for example 3 wild symbols being a win or those symbols being used with another symbol to make a win of 4 symbols will only pay which of those two is the highest). Wild symbols include: Medallion Wild, Truffle Shuffle Wild, Mikey Wild, Colossal Wild, Super Sloth Wild, Goonie Wild and Inferno Wilds. One-Eyed Willy’s Riches – One-Eyed Willy’s Riches can be triggered randomly during any spin. 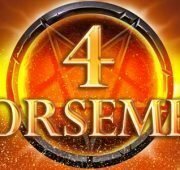 You will get a spin on the wheel bonus and earn one of the game’s huge bonus features. Chunk’s Truffle Shuffle Wilds – Wilds can overlay the reels, turning positions wild. Mickey’s Hidden Riches – Any of the reels can be turned into a reel stacked full of wilds. Mouth’s Lucky Coins – The Mystery symbol (Gold Coin) chooses a symbol at random to be displayed inside the Gold Coin. During any spin where a Coin lands on the reels a symbol is chosen which is displayed in every Coin in view. Sloth’s Win Spin – Guaranteed to award a big winning spin. There are also two additional modifiers which can trigger after any spin both turning a lose into a win. On a losing spin a scythe can appear which will reset the reels into a win, and also a cave collapse can occur to reveal a win. One Eyed Willy’s Bonus Boost – Additional Bonus symbols can be added to the reels. Data’s Colossal Symbols – As the reels continue to spin, 3 adjacent reels can be turned into a Colossal Reel. Fratelli Hideout Bonus – Triggered by landing on the Fratelli Hideout segment of the wheel during the Bonus. Pick a key to reveal one of three outcomes: CASH ADD (adds a cash amount based on the player’s total bet); COLLECT (ends the feature); HIDDEN TUNNEL (takes the player to the Hidden Tunnel sub-bonus). If the Hidden Tunnel is revealed then the player can trigger any one of the 5 additional Bonuses. Skeleton Organ Bonus – Triggered by landing on the Skeleton Organ segment of the wheel during the Bonus. The player selects the organ keys to reveal an icon. Each character will match up to a total bet multiplier. Additionally, revealing an UPGRADE icon will upgrade the total bet multipliers or the possible feature that can be won during the bonus. Collecting 3 Key symbols unlocks the door to an additional feature bonus. Watch out for the Skull and Crossbones. LOSE 3 LIVES AND IT’S GAME OVER! 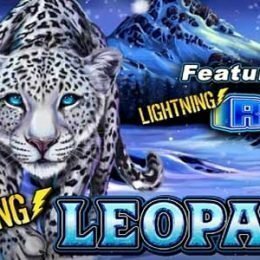 Super Sloth Free Spins – Triggered by landing on the Super Sloth Free Spins segment of the wheel during the Bonus. A screen transition will occur and the player will be taken to a new set of reels featuring the Fratelli family. During any spin, if a Super Sloth Wild lands in view any Fratelli symbols on the reels are turned into the top symbol. 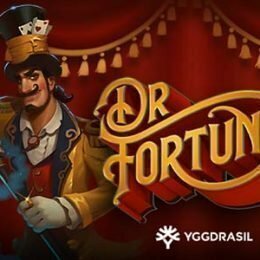 At the end of Free Spins the player has one extra chance to win extra prizes. Choosing a chest reveals either Super Sloth (extra Spins), Collect (ends the feature) or One-Eyed Willy’s Treasure Bonus (awards the feature). 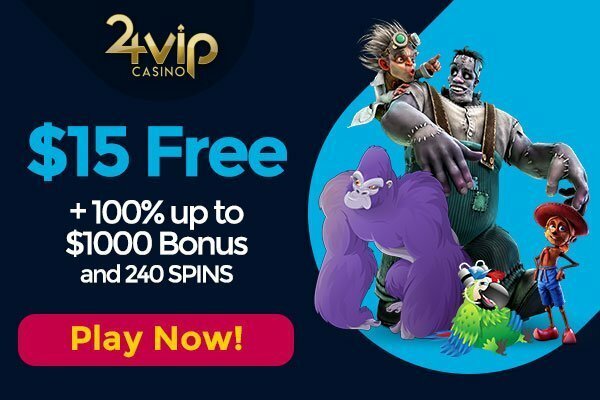 Goonies Go Wild Free Spins – Triggered by landing on the Goonies Go Wild Free Spins segment of the wheel during the Bonus. At the start of each spin after spin number 1, one of the top reel symbols will become Wild. 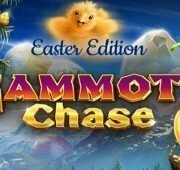 At the end of Free Spins the player has one extra chance to win extra prizes. Picking one of the Copperpot Doubloons will reveal either COLLECT (ends feature), EXTRA SPINS or One-Eyed Willy’s Treasure (awards that feature). 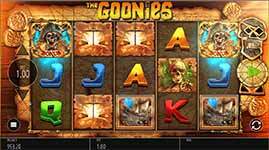 If the player reveals EXTRA SPINS then they are awarded up to 5 extra spins with all of the Goonies symbols wild. 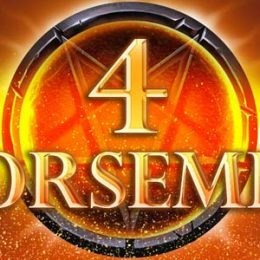 Inferno Free Spins – Triggered by landing on the Inferno Free Spins segment of the wheel during the Bonus. At the start of each spin the Inferno will move across the reels from right to left, turning between 1 and 3 consecutive reels Wild. 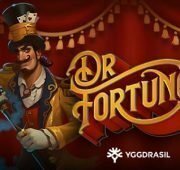 At the end of Free Spins the player has one extra chance to win extra prizes. Spinning the wheel will reveal either COLLECT (ends feature), EXTRA SPINS or One-Eyed Willy’s Treasure (awards that feature). If the player reveals EXTRA SPINS then the feature is re-triggered. One-Eyed Willy’s Treasure Bonus – Collecting 5 Bonus symbols, gambling to, or having landed on the One-Eyed Willy’s Treasure Bonus on the Bonus Wheel triggers the One-Eyed Willy’s Treasure Bonus. The values will spin and then come to a stop awarding the corresponding total bet multiplier. 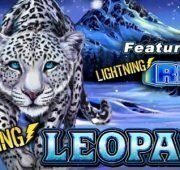 The feature continues until the booby trap is triggered on the scales, where the player is awarded their total bet multiplier win.